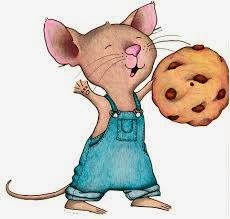 A good friend of mine says home improvement projects are very much like one of my favorite children's books, If You Give A Mouse A Cookie. If you help me paint my kitchen, I'm going to want to paint my cabinets. If I take down my cabinet doors I'll have to scrub them clean. If I am scrubbing clean the cabinet doors I might as well scrub clean the cabinet frames. If I am going to repaint the cabinet doors, I need to repaint the handles and other hardware. If I am going to repaint the walls, cabinets and hardware, I need a new kitchen counter. If I am going to redo my kitchen counter, I'd really like to retile the floor. Hey if I am retiling the floor can we tile the back splash behind the sink and stove? Now that my walls are repainted I need new decor. My kitchen looks so fresh and new I need a new dining room table. Since the kitchen redo budget is already blown I'm going to paint my table. But first I need to scrub it clean and sand it down. Sit and enjoy a cookie in my nice new pretty kitchen. As of tonight I've accomplished the first four lines of my story. The only reason I quit for the night is because my dad, who is visiting from out of town, is watching football and keeps asking "what are you doing out there?" So I decided to call it a night and continue tomorrow. And then I sat and enjoyed a cookie. ha. That made me smile because it is so true! 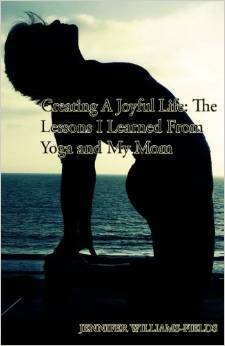 And because I read that book at least once a day.